Neuspeed is no new name to the Volkswagen community. With over 40 years experience, Neuspeed delivers an insane amount of R&D experience into all of their VW products. 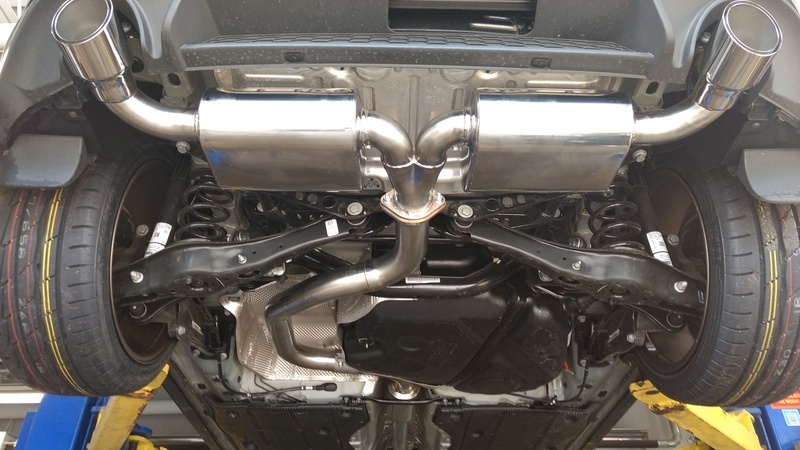 And nothing but perfection was a result with their 3 inch MK7.5 GTI catback exhaust for the 2018+ model years. Their aerospace quality T304 stainless steel bend system offers two low restriction mufflers at the rear providing minimal drone inside the cabin, reduced weight as well as meet state noise restriction standards. When it comes to the Neuspeed MK7.5 GTI catback exhaust nothing but precise fit, quality and peak performance can be heard. Every Neuspeed system comes with all the proper mounting hangers, gasket (s) and hardware needed for installation. Brushed Finished 3" Tubing, "Y" Split 2.5"
Limited 2 year warranty to the original purchaser. Proof of purchase required for all warranty claims. This Neuspeed catback exhaust had perfect fitment onto my MK7.5 GTI. The welds and fittings are top grade. I have this catback match the Neuspeed downpipe and the sound is amazing and has zero drone!! I highly recommend this set-up if you want a great sounding car.